#Office365Challenge I was so fortunate to be at the Microsoft Tech Summit in Johannesburg today and as always I was reminded of how important networking is. The ability to ask questions and give feedback is valuable – for both parties. In this post I’ll share some feedback mechanisms with you and hopefully inspire you to start doing so. 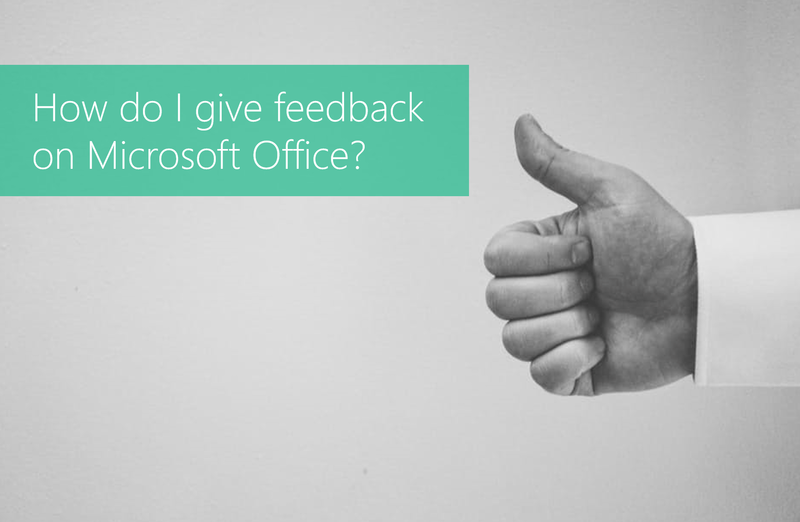 Description: How do I give feedback on Microsoft Office? 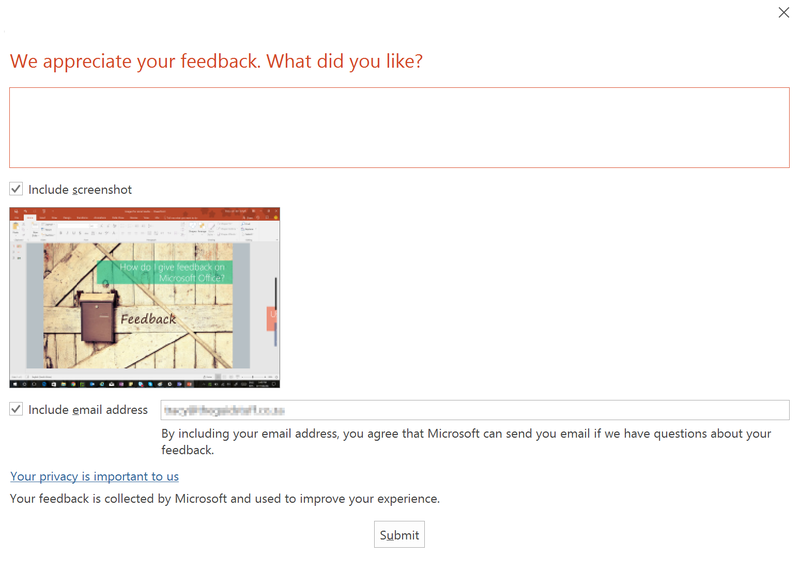 I’ve heard many people complain about things in Office 365 / Microsoft Office, but when I asked them how and if they gave feedback the answer was mostly no. And yes, I am guilty of this too, I don’t give as much feedback as I should. It’s important to remember that our input and feedback has an impact on future updates. 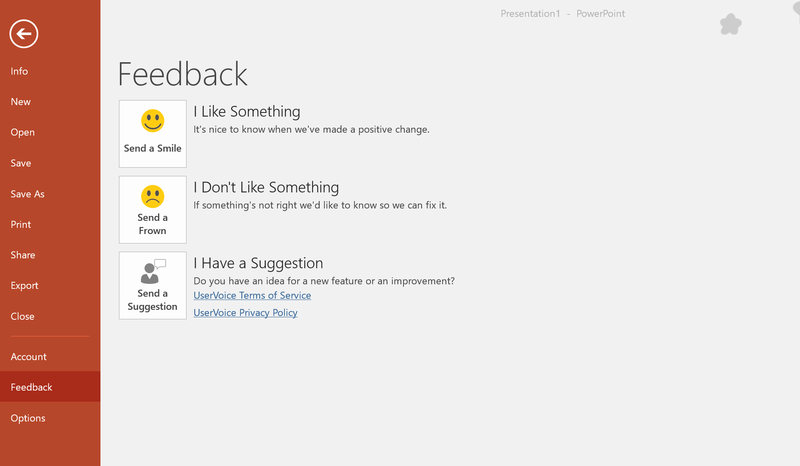 I don’t read minds and I’m sure Microsoft doesn’t either. So speak up. This cartoon by Hugh MacLeod sums it up for me. When we don’t participate – we don’t create. #ThatIsAll. Whether it be positive feedback or telling them what you don’t like. Constructive criticism is an integral part of a continuous improvement process. Clicking on Suggestions will open a webpage. (You have to be online). 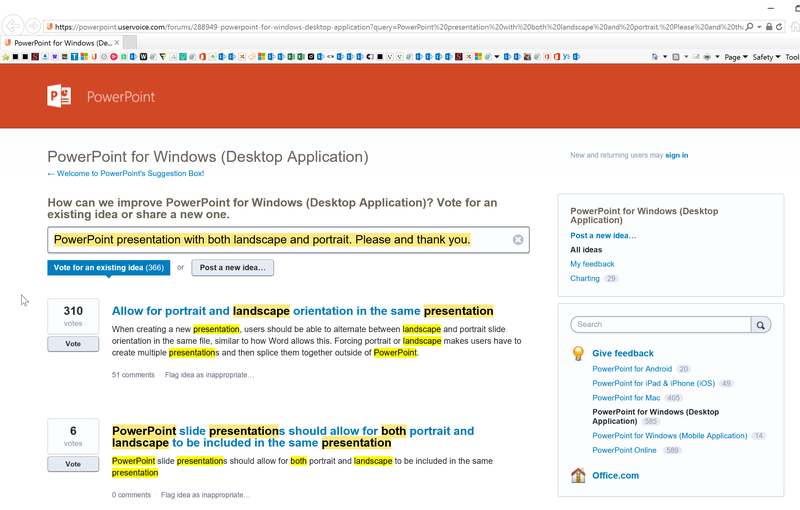 You’ll notice below that based on the suggestion it could ask you to vote on similar suggestions already posted.